I think you know what I’m grateful for this year :) Hope you all are well and safe! That’s so sweet! Happy Thanksgiving to you and to your family as well J.! Very cute! Happy turkey day J! Enjoy the day with the family! Awww, that’s adorable. Happy Thanksgiving to you and your family! I can’t wait for my Little Miss to start coming home with cute stuff like that! I love it. Too cute. Happy gobble gobble day to you and yours. 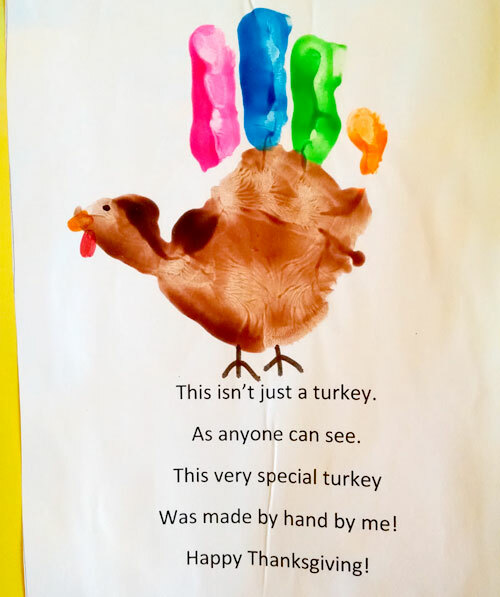 Now that is one lovely turkey! I hope you and your family have a warm day full of love, good smells and full tummies. And, just to let you know….I’m thankful to have met you, J! Happy Day to you and yours! Thanks for years of awesome blogs! Wishing you much continued success. Aww, that’s cute. That’s a really lovely painting actually! I’m thankful for you J and this awesome community! Happy Thanksgiving to you and your family J. You’ve been a positive help to me this year, for which I am very grateful! Seriously, so adorable! Happy Thanksgiving, J. Money! Just saw the painting. It was very sweet and creative of your son to do that for you. I hope you had a happy Thanksgiving.